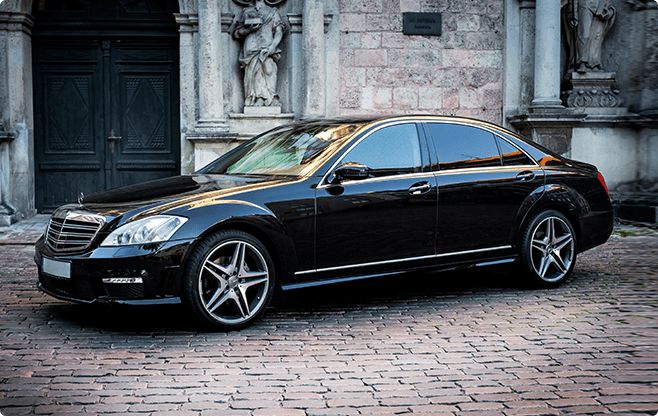 Mercedes Benz S-Class has been instantly visible not just for its iconic design, but for predicting the future of the automobile. Fast, powerful and royal - for people who appreciates comfort and style. Black leather interior, audio/MP3 system, air conditioner, seat warmers, tinted windows.